Raya received a B.A. 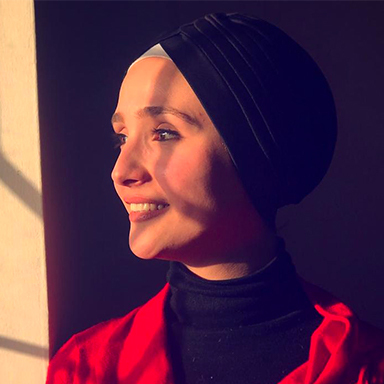 in development studies from Philadelphia University, and is currently pursuing a master’s in women’s studies from the University of Jordan. Raya started in civil society by volunteering for five years with NGOs. She now has three years of working experience with local and international NGOs such as UNICEF, NRC, BASMA, INJAZ, and Better World. She has represented Jordan in several European countries and given training courses in different Arab countries. She loves volunteering and working with creative youth. Raya is a leader whose skillset and interests are multifaceted: she is a trainer and facilitator: she is skilled at public communication, marketing, and project writing; and she is interested in women’s empowerment, children’s rights, and education. In addition, Raya is an inventor, and has an idea for an invention that would help disabled people be mobile without having to use a wheelchair.